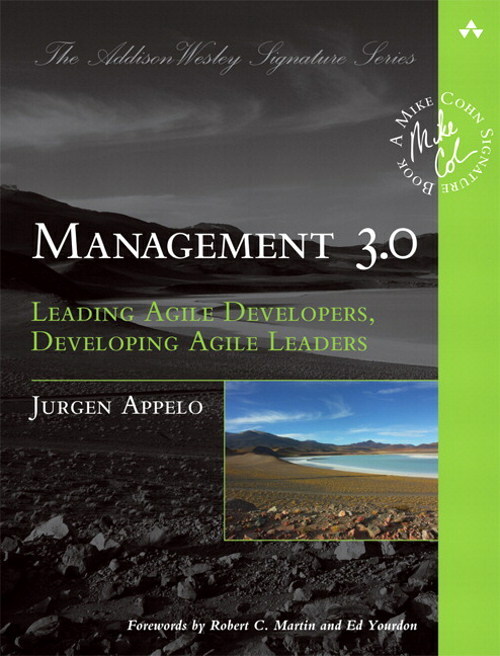 There has been a lot of buzz around Jurgen Appelo's book Management 3.0 lately. Subtitled "Leading Agile Developers, Developing Agile Leaders", Appelo introduces a model for agile management, applying the findings of complexity thinking to social systems, like agile software developing teams. First of all, Appelo makes the point that we usually confuse the terms complex and complicated. He explains complex as foremost unpredictable, while complicated merely means hard to understand. However, our minds work in a linear fashion, in terms of cause and effect. This leads to reductionism, solving complex issues by dividing them into parts, and addressing these independently, leading to insufficient global solutions. Appelo introduces his Structure-Behaviour Model of systems, which depicts complexity and complicatedness on two axes. There are three levels of predictability (order, complex and chaotic), and two levels of understandability (simple and complicated). Appelo lists some examples for the six combinations, like a clock being an ordered, complicated system, or a double pendulum being a simple, chaotic system. In contrast to existing models (like "simplify everything"), Appelo suggests a two-dimensional model, with simplification (making things better understandable) in contrast to linearization (making behaviour more predictable). He highlights the danger of mistaking linearisation for simplification, and employs the findings of complexity science instead, like modelling by taking advantage of complex adaptive systems. Based on this premise, Appelo introduces the Management 3.0 philosophy, consisting of six pillars: Energise people, empower teams, align constraints, develop competence, grow structure and improve everything. He describes every aspect with great care and detail, making it impossible to sum up. I especially liked how he approaches each subject scientifically, citing appropriate prior work and putting his own work in perspective. For me, it's a truly remarkable book with great relevance in day-to-day work. For example, we have used his technique of do it yourself team values for three months now, which led to some good communication and helped us define some common ground. I should blog some more about our experiments, it was really insightful. All in all, the book feels consistent, perfectly well-researched, and aware of its context. It's closing with a great quote, "all models are wrong, but some are useful": There is no single best solution, no best practice. It leads Appelo to defining the term agile as "staying successful in ever-changing environments", which sums it up perfectly for my money. Easily the best book I have read this year! Despite having entered the 100 thing challenge, this is a book I'm keeping for now. But of course, you can borrow it, just let me know.